Deon and Anne were part of the team planting HCI in 2005. 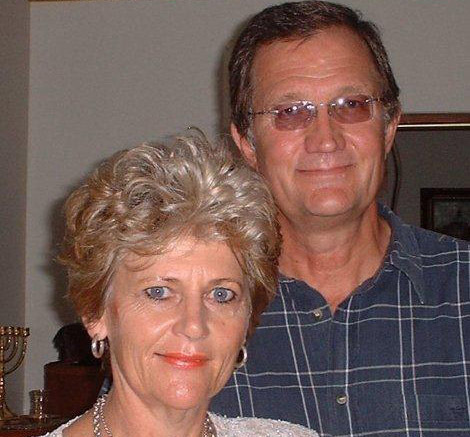 Deon has been Pretoria based since 1986 and convinced Anne to change her roots from Johannesburg to the Jacaranda City. They have the privilege of being parents to Amy and Daniel. Deon enjoys golf and other lesser sports while Anne is into art, literary and academic pursuits. The family is particularly keen on visits to the Kalahari. Deon manages a professional services firm and Anne lectures in Industrial Psychology at various Universities. Deon carries the eldership responsibility for the administrative and governance affairs of the church. Piet and Hettie Dreyer joined Harvest Church in 2009. Their family includes Jacques and Nomsi, who both are still living in Pretoria. Piet and Hettie have extensive experience in serving God’s church in a variety of different roles and geographies, including planting churches in Zimbabwe and South Africa. Piet being a lecturer at Bible School as well as founding Project Gateway in Pietermaritzburg. Piet plays an apostolic role in Harvest and is also responsible for training, equipping and discipleship,whilst Hettie is involved with women’s ministry. Quintin and Caryn have been part of HCI since it was planted in 2005. They are both from KwaZulu-Natal that becomes clear especially when the Sharks manage to win a game. They have made Pretoria their home and are avid outdoor people, often taking overland trips into the wilderness areas of Africa. They have been blessed with a little girl Michaela– who carries with her a rich testimony of God’s grace. They also have two sons, Tristin and Mitchell. Quintin serves the church in the full time role of deacon and oversees all the ministry teams. Caryn is a professional engineer working in the Water Resources industry. Cedric and Lynne joined HCI in 2008 and are assisting with pastoral care. 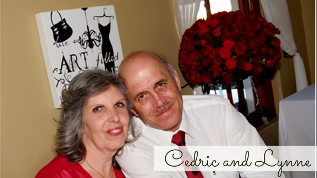 Lynne is involved in the administrative function and Cedric’s function is prophetic and prayer. 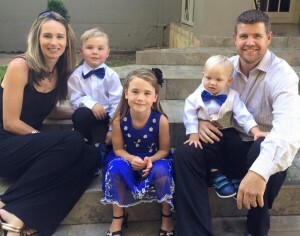 They led a church in Somerset-West, and Cedric also was involved with radio (had a programme with over 70 000 listeners) before moving back to Pretoria. They have three adult boys who are out of the house. They are avid nature lovers and serve as Honorary Rangers for SANParks but they are also actively involved in the Princess Christian Home for senior citizens. Cedric and Lynne are both trainers of assessors and moderators in the South African skills development system. 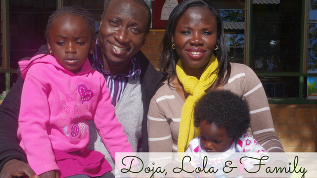 Doja first arrived in South Africa from Nigeria in 2005 to study and obtain a Multimedia degree in Information Technology. Lola arrived in SA, January 2007 to obtain a Masters degree in Human Rights Law. Doja started worshipping with HCI in November 2007 on the invitation of friends and Lola (then his fiancée), joined him a month after on returning from a study trip to Ethiopia. For them, HCI has been “home away from home”. Doja is thankful for his heritage, having being raised and born into a lineage of Priests (4 generations), his father also having served the Lord in his days, as a medical missionary and pastor. 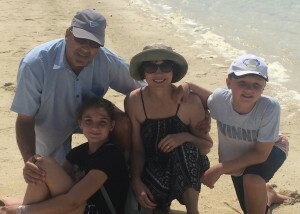 Doja has been involved with ministry for the most part of three decades and together with Lola, they are passionate worshipers with a calling to raise and draw a people from all nations to God through music and the Word. They have a mandate to lead and build the worship team at HCI. Together, they are blessed with two of the most adorable girls in the world, Oluwajoba (meaning Our God reigns) and Oluwamurewa (God has given us a good thing). Lola works as a Programme Manager for a Human Right NGO while Doja works in the IT field as a Microsoft Trainer, with his core focus on Systems Development. They are both avid Arsenal fc fans. Jasond and Sarah met at HCI and were married in 2011. They have an amazing passion for young people and are involved with the youth group, Waypoint, as well as the young adults home group. 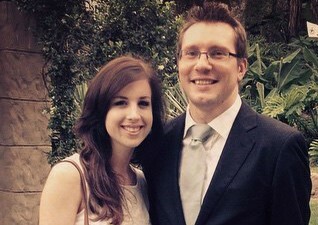 Jasond runs a successful business in the software and web development industry and Sarah is into art and design.